It’s dark and it’s getting cold! 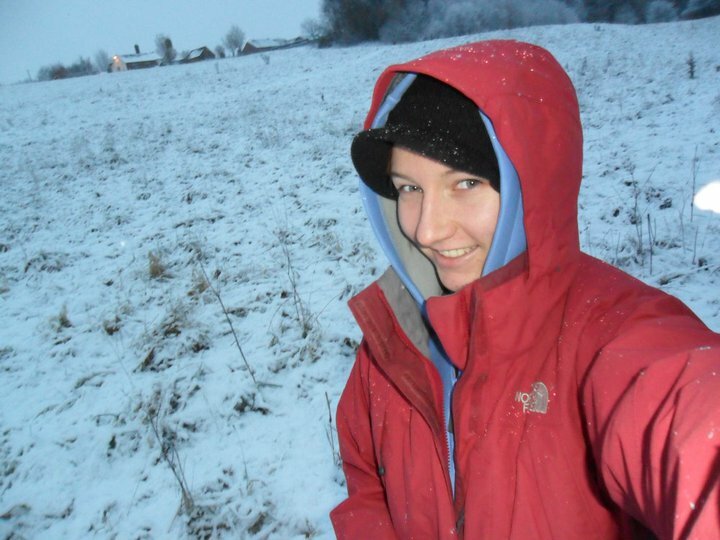 I quite enjoy this time of year… woolly hats, big jackets, snow (well, maybe if we’re lucky). However with the cold also comes rain, mud and shivers! 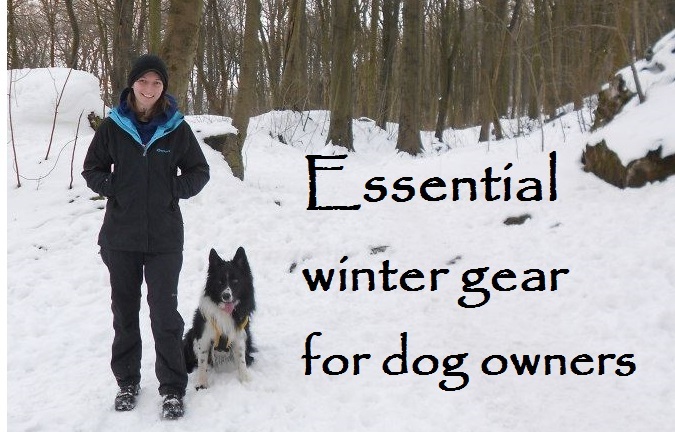 So let me share with you my favourite gear for winter… and yes, I’m talking about for humans now, not for dogs! Oh my god I love my thermals so much. Thick, fluffy thermal leggings under your trousers are like a great, big hug for your legs. It makes so much difference to keeping warm. Any brand will do. Also thermal tops make the best base layer to keep you warm. Again, I’ve found any brand to be satisfactory, fluffy cotton ones, nylon ones or “super-smart-technology-fabric” ones. They all do the same job and can easily be layered under a tshirt or another long sleeve top, a jumper, a hoody and a coat. There’s nothing worse than cold, wet feet! Therefore a good pair of waterproof boots are essential. I prefer boots to wellies as they offer support and comfort for walking further. 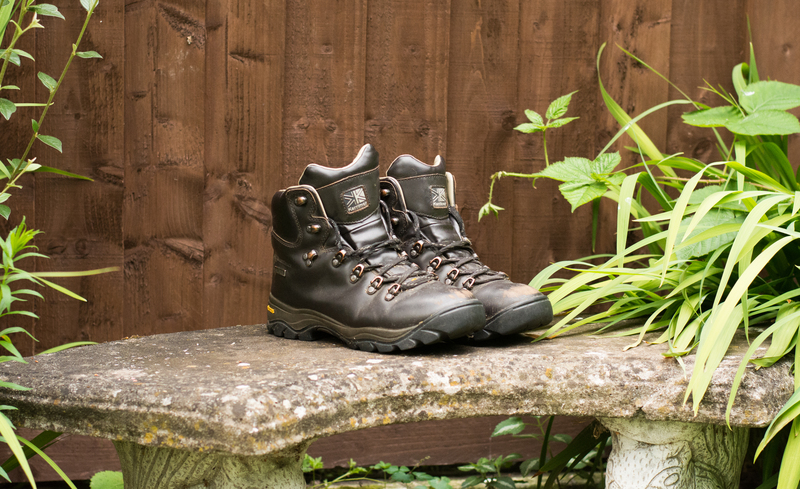 I personally love these tough leather Karrimor ones. I’ve owned several pairs and they each lastest at least a year of heavy use. 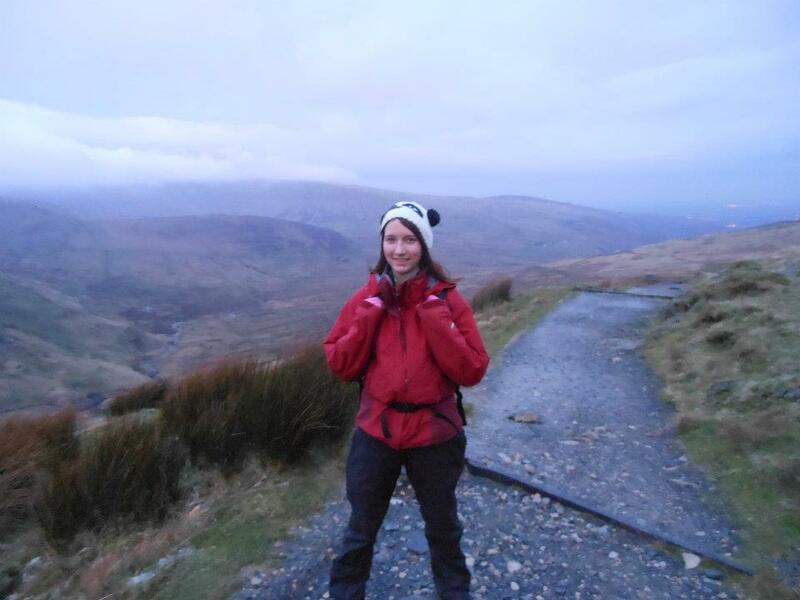 I have stood in streams, walked up Snowdown (twice), completed the Yorkshire 3 Peaks and spent a weekend camping in snow and mud in them and they stayed dry and comfortable. However Ash is trying to convince me that if I get a pair of Scarpa boots they’d last for years longer than my Karimoors… so I may be getting converted to a new brand of boots soon. Same style though. Hopefully it goes without saying that you need a good waterproof! The brands I swear by are North Face and Sprayway, with a preference to North Face. A decent coat can cost around £100, but my North Face coat lasted for 6 years. I reckon that’s worth the price. I wore it on tons of Scout camps involving mud sliding, man hunt, running through bushes, rock climbing, all sorts and it never ripped. I only replaced it because it stopped being waterproof on the shoulders, which happens eventually. My Sprayway coat is lasting well so far but the lining is starting to come away after only a mere 2 years. 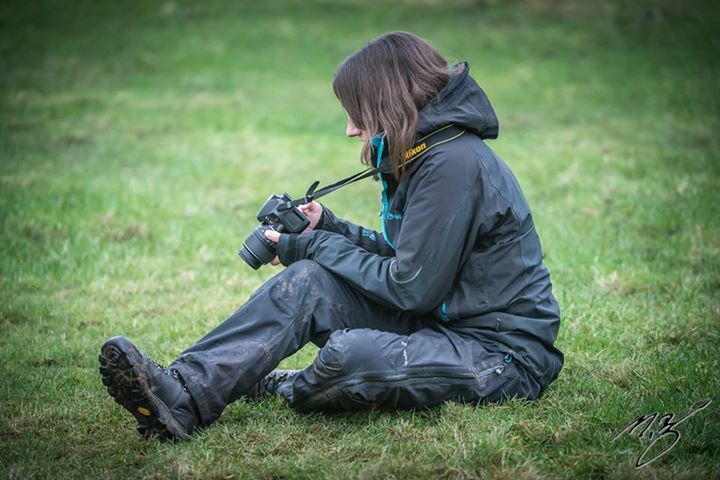 If it’s raining, snowing or even just really muddy then waterproof over trousers (aka waterproof leggings) are great. They keep me completely dry and then when I get back in I just take them off, rub them down and hang them up with my coat to dry. I had a pair of Sprayway ones that lasted 5 years and I’ve just replaced them with some Regatta ones that have been great so far. Again they’ve survived through rough and tumble on Scout camps with no tears and they’re comfy to wear over the top of your normal trousers. If it’s chucking it down a cap is perfect for keeping the rain out of your face. I find even with a hood up I still end up with a soggy fringe or rain in my eyes without a cap on. We all know woolly hats are great for keeping us warm right. I love a warm hat in the winter, plus there are so many stylish and practical options. I own at least six! Does anyone remember when puff body warmers used to be in fashion and then suddenly went uncool?! I used to wear one when I was about 10 and then while I was a teenager they were seriously out of fashion. Luckily now 1) I don’t care and 2) they’re in fashion again. Which means they’re everywhere. Primark are great for cheap ones (although don’t expect much in terms of quality) and they provide the perfect extra layer of warmth over a jumper or fleece. I also find them to be perfect dog training tools as they tend to have great zip pockets for treats, poo bags and your keys. I love the thin, shell type Regatta ones and you can fit them over a fleece and under a waterproof for serious warmth. 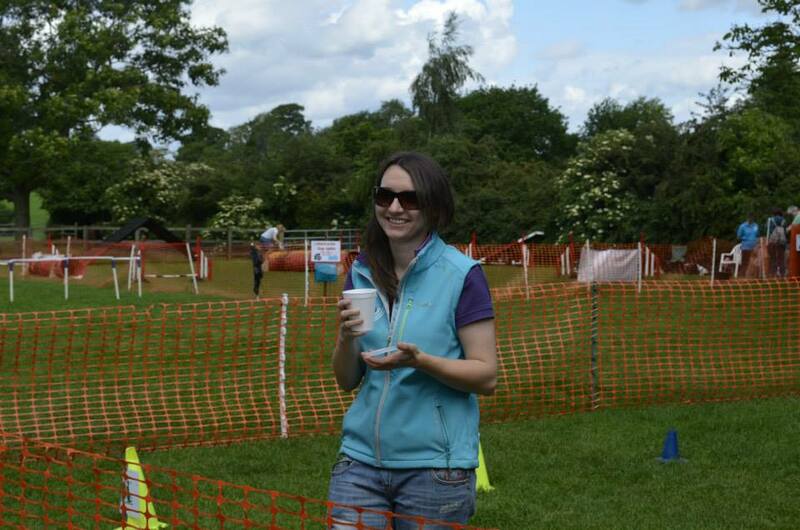 Okay so it may not have been winter when this photo was taken, but this is my favourite gillet. There’s definitely a trend with the brands I use the most and I find it’s so important to get the right gear for winter. I’m miserable when I’m cold and wet, plus I get cold pretty easily, so things like this are essential for a happy winter. I’m a bit of a coat hoarder though (I know right… some girls love shoes and handbags…) so it’s not great for my bank balance. 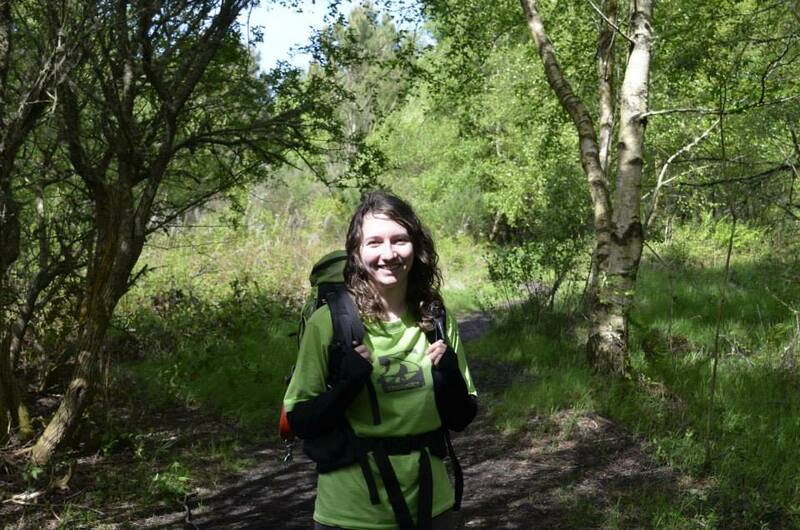 Speaking of which, I’m off to the North Face shop!